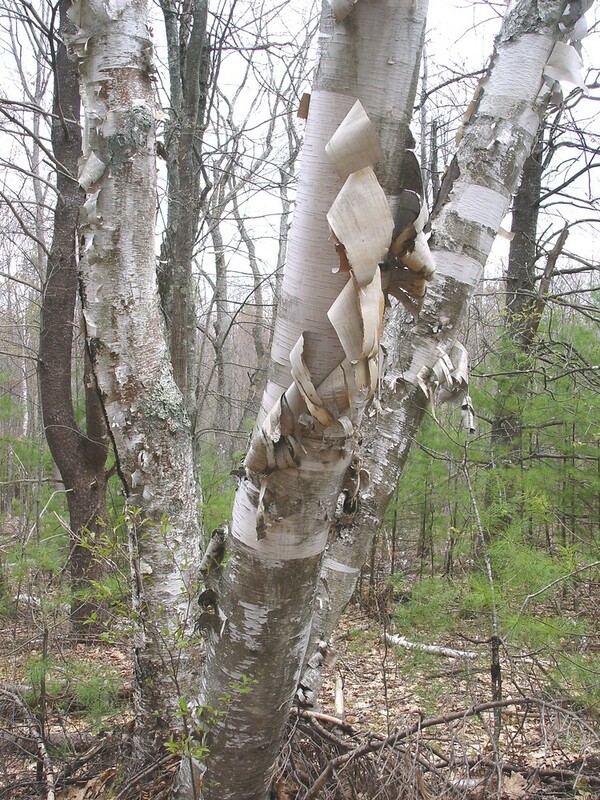 Betula papyrifera is a small to medium sized tree, usually leaning; bark white, peeling in thin sheets, with black, horizontal or half-moon-shaped strips around branches, underbark is pink. 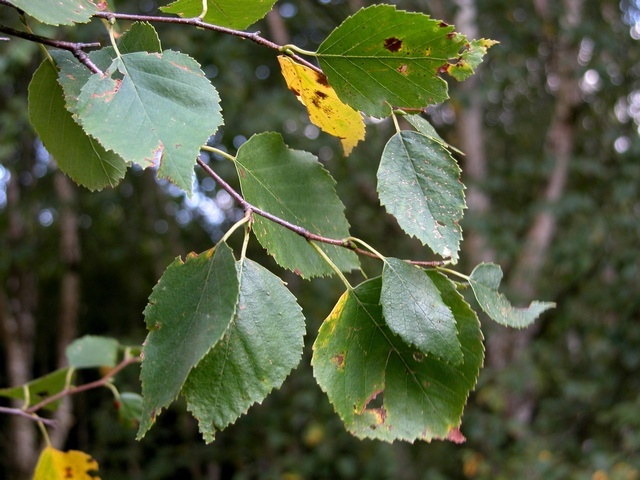 Betula papyrifera. leaves. SEINet. creativecommons.org (Accessed 11/2017). Leaves alternate, egg-shaped, to 10 cm long, tip long-pointed, base rounded, margin sharply toothed. Flowers tiny, in catkins; blooms April-May, wind pollinated before leafing out. Fruit: dry, tiny winged nuts, ripen Aug.-Sept., wind dispersed, Aug.-spring. Habitat: Intolerant of shade. usually a pioneer species after fire or other disturbance. Soil pH 4.2-7.4 (USDA, NRCS 2010).